In line with its commitment to stem new malaria infections and reduce associated deaths, Fidson Healthcare Plc, has urged Nigerians to keep their environment clean, by removing stagnant water, consistently using the long lasting insecticide treated nets (LLITN) and ensuring proper diagnosis before treating malaria. 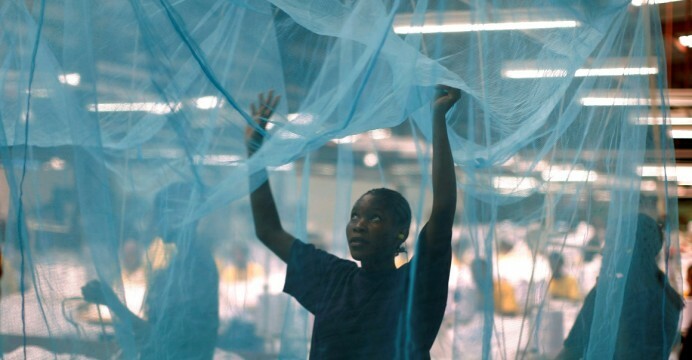 Mr Adesoji Fasanya, Fidson’s Product Manager, Antimalarial, who made the call, lamented that the World Health Organisation (WHO) report on malaria shows that Nigeria had the largest volume of malaria cases recorded in any single country globally. Fasanya further said that what is of a bigger concern was the fact that malaria was preventable, but most people, especially those living in rural or semi-urban areas of developing countries, don’t even know how to prevent it. He spoke during 2018 World Malaria Day, which Fidson commemorated at a community health outreach at Odonla Primary Healthcare Centre. It was part of the company’s activities to increase awareness and promote advocacy against malaria in the country. On his part, Mr Friday Enaholo, the Marketing Manager, Fidson Healthcare Plc, advised Nigerians to fight malaria by preventing infection through the use of insecticide-treated mosquito nets (ITNs) and indoor residual spraying (IRS). He also identified improved sanitation and avoidance of stagnant bodies of water as other veritable means of controlling malaria. Enaholo expressed concern over the malaria scourge in Nigeria, citing the 2015 Nigeria Malaria Indicator Survey reports on statistics credited to the National Malaria Elimination Programme, Federal Ministry of Health, which estimated that about 110 million clinically diagnosed cases of malaria and nearly 300,000 malaria-related childhood deaths occur each year. The report also indicated that in Nigeria, malaria is responsible for approximately 60 per cent of outpatient visits, 30 per cent of admissions, and also believed to contribute up to 11 per cent of maternal mortality, 25 per cent of infant mortality, and 30 per cent of under-five mortality.